C295W is the latest version of the Airbus C295 medium transport aircraft. Image courtesy of Airbus DS GmbH. The Mexican Navy received the first C295W aircraft in March 2015. Image courtesy of Airbus DS GmbH. A C295W aircraft equipped with air-to-air refuelling system performs aerial refuelling mission during a test flight. Image courtesy of Airbus DS GmbH. The C295W can operate from unprepared airstrips. Image courtesy of Airbus DS GmbH. C295W, the latest variant of C295 military transport aircraft, is being manufactured by Airbus Defence and Space. The new aircraft is equipped with winglets and uprated engines to deliver improved performance than its predecessor. The new generation C295W can be deployed in defence, homeland security, surveillance and humanitarian missions involving troops and cargo transport, air-dropping, communication and logistics support, anti-submarine and surface warfare, airborne early warning (AEW), maritime surveillance, and medical evacuation (MEDEVAC). Mexican Navy (Semar) is the launch customer for the new C295W aircraft. 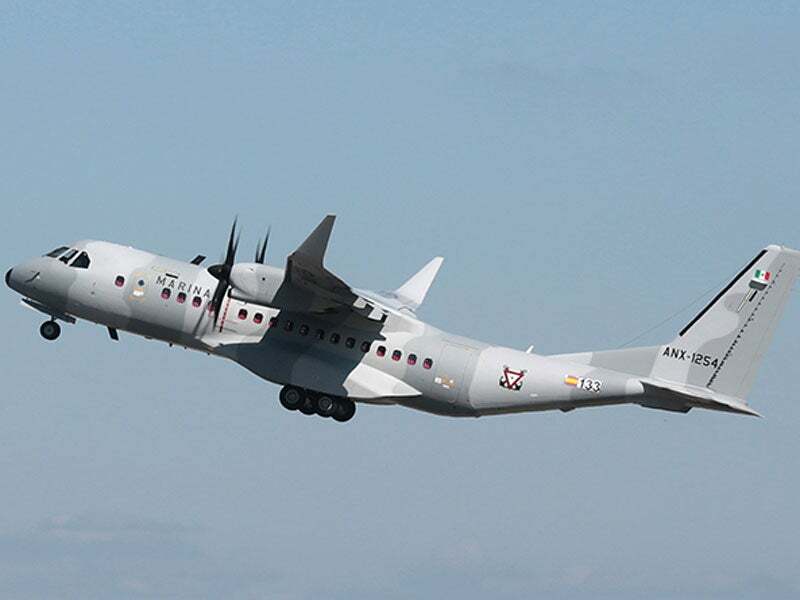 Bangladesh placed a contract with Airbus Defence and Space in October for a C295W medium airlifter, along with a customer support and training package. The aircraft will be delivered to the Bangladesh Army Aviation in the second half of 2017. The Royal Thai Army (RTA) received a C295W military transport aircraft from Airbus Defence and Space in June 2016. Airbus Defence and Space also received a contract from the Mali Air Force for a C295W transport and mission aircraft in February. Delivery of the same is scheduled to take place in the second half of this year. The Ministry of Interior of Saudi Arabia placed an order with Airbus Defence and Space for four C295W aircraft in June 2015. The C295W aircraft features a robust airframe integrating an optimised cabin and redundant systems. The medium-sized aircraft can operate either as a single transport fleet or complement heavy airlifters and transport helicopters. The new wing design with winglets allows for the carriage of more payload to long distances and ensures the aircraft to achieve 4% fuel savings. The medium transport aircraft can be optionally fitted with a palletised aerial refuelling unit and associated computer control system to conduct air-to-air refuelling missions. The C295W features unobstructed cabin to carry up to 71 troops or up to 9t of cargo. The aircraft can accommodate up to five 88in x108in standard HCU-6E pallets, which can be off-loaded through its rear ramp door. The glass cockpit incorporates an advanced integrated avionics system including four large active matrix liquid crystal displays. The open architecture of the avionics suite supports the installation of advanced equipment. The cockpit also integrates autopilot and flight director system. The aircraft is also equipped with fully integrated tactical system (FITS), which coordinates the data from the mission sensors to enhance mission awareness and support decision making. In July, Airbus Defence and Space and Roketsan Missiles Industries signed a memorandum of understanding (MOU) to integrate a range of weapon systems on the Airbus C295W aircraft. "The new aircraft is equipped with winglets and uprated engines to deliver improved performance than its predecessor." The under-wing stations of the aircraft can be fitted with CIRIT 70mm laser-guided missile, LUMTAS laser-guided, long-range anti-tank missile, and TEBER laser-guided bomb. The aircraft is installed with self-defence equipment and systems including cockpit armour, radar warning receiver (RWR), missile approach warning system (MAWS), laser warning system (LWS), and chaff / flares dispensers. The C295W is equipped with two Pratt & Whitney Canada PW127G turboprop engines driving a pair of Hamilton Standard 586-F six-bladed propellers. The engines deliver superior performance in hot and high conditions. The C295W can fly at a maximum cruise speed of 480km/h and can reach a maximum altitude of 25,000ft. Its low-level flight characteristics allow flying at a minimum speed of 110kt. The aircraft is equipped with a retractable tri-cycle landing gear, which enables operations even in the most austere locations with short, soft and rough unprepared airstrips.